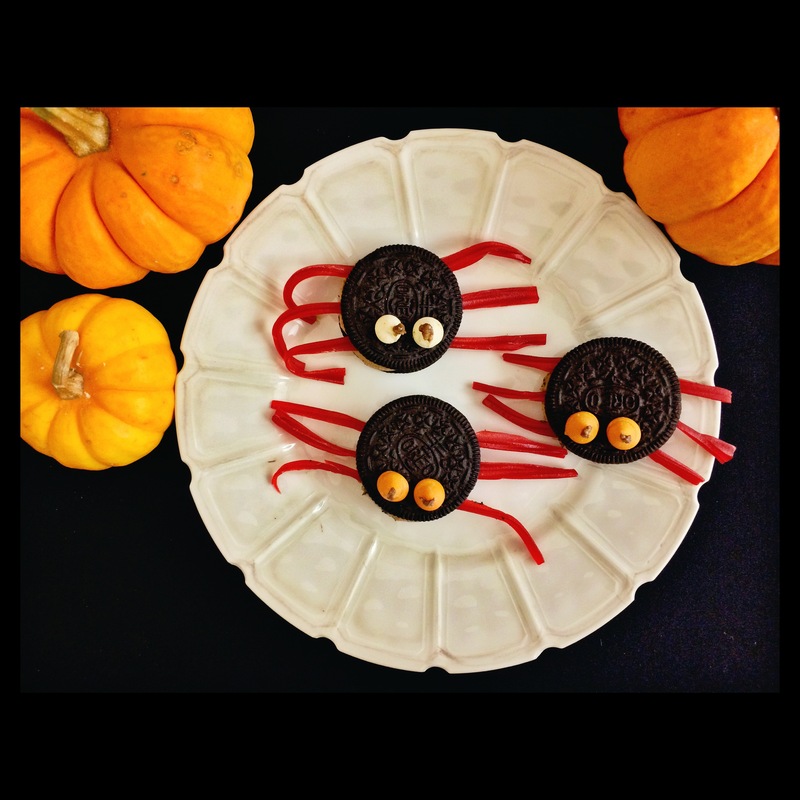 Spooky Spider Oreos: These delicious and fun treats are bound to put a smile on anyone’s face and they are so easy to make. You can use any kind of Oreos (regular, chocolate cream-filled, pumpkin spice) and add some creepy legs by using licorice or pretzel sticks. 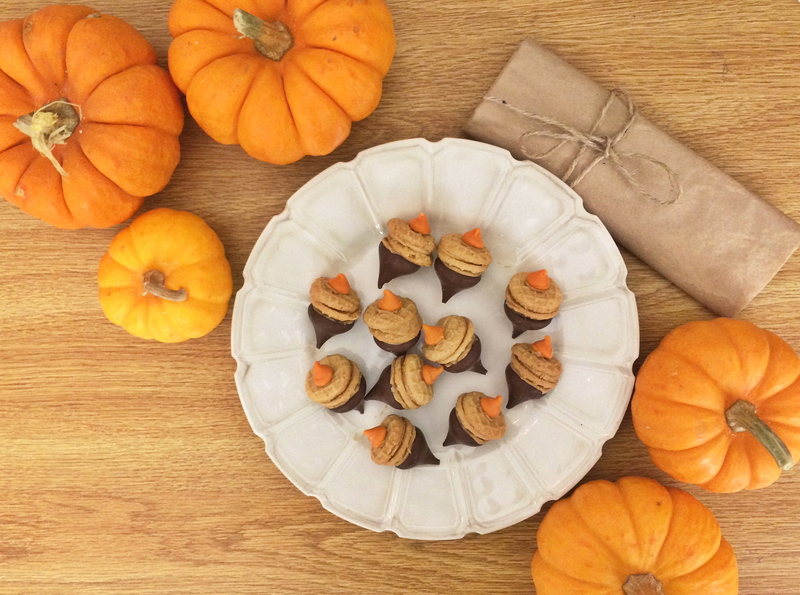 Enjoy your Halloweekend by whipping up these cute little guys! Separate the top of the Oreo cookie (with no cream) from the other side with cream on it. Push three licorice pieces or pretzel sticks into the creme. Top with the plain Oreo cookie. Bex’s Autumn Acorn Treats: Grab some peanut butter, Nabisco Nutter Butter Bites, Hershey’s Kisses and Nestle Tollhouse Pumpkin Spice Morsels and boom: you have one easy little treat! Whether you are babysitting and need a fun activity to do, or just want to make an easy, festive treat for you and your friends; I guarantee that these cute acorns will please just about anyone! My goodness the vibrant orange colors of your photos are gorgeous! And I love the acorn treats mmmmm! Very creative, love it! Thank you so much!! I hope you enjoyed your Halloween with some fun treats!